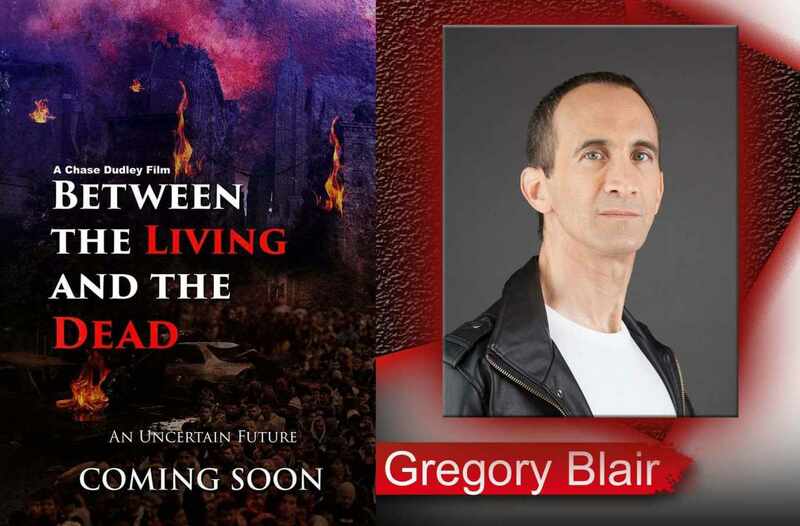 Gregory Blair Joins Cast of Post-Apocalyptic Film "Between the Living and the Dead"
Gregory Blair: "Between the Living and the Dead"
HOLLYWOOD, Calif. - Dec. 11, 2017 - PRLog -- Award-winning actor Gregory Blair (Garden Party Massacre, Deadly Revisions, Fang) has signed on to play The Preacher--the mysterious minister of mayhem--in Chase Dudley's new film "Between the Living and the Dead", which also stars Lisa Wilcox of "Nightmare on Elm Street" fame. In the post-apocalyptic world of the film, a family aims to find shelter from cannibalistic scavengers and Blair's character leads them, unwillingly, to Wilcox's farm—a shelter that is its own nightmare. "I'm thrilled to be a part of this project," Blair said. "Chase has pulled together a great cast of names familiar to genre fans, including Lisa Wilcox, Ashley Mary Nunes and Bishop Stephens. I'm honored to have the opportunity to share screen time with Ms. Wilcox: "Nightmare on Elm Street" is a seminal film series for horror aficionados; it's always a treat to get to work with someone from such an iconic movie franchise." Dudley is no stranger to the thriller/horror genre, having cut his teeth on earlier works, including Marvelous Mandy and the upcoming Payday. Dudley originally reached out to Gregory for a different villainous role, but after reading the script, Gregory pitched himself for The Preacher. "The way the script describes the character, I didn't even think of Gregory for that role," Dudley said. "But when I saw his audition, it was a done deal. I can't wait to see him bring this monster to life." "The Preacher just—excuse the expression—spoke to my soul," Blair said. "He's so much larger than life. Terrifying…and almost unearthly. He's completely unfathomable: you never know what he'll do next and I think that makes him even more intriguing and dangerous. I look forward to working with Chase to make that unsettling, creepy quality translate to film." "Between the Living and the Dead", is slated to shoot Fall of 2018 on location in Kentucky via A Cut To The Chase Productions, LLC.